Meet at the Multnomah County Library in the morning to begin your walking tour of Portland. 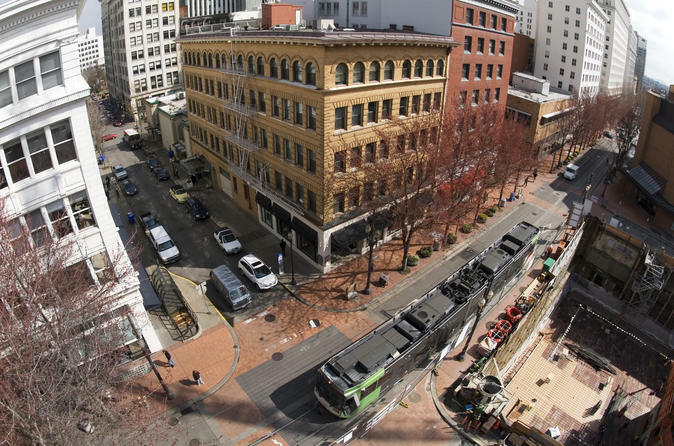 Following your guide, you’ll visit several Portland sites such as the Pearl District, the famous food carts, Powell’s Bookstore, Pioneer Square and numerous LEED (Leadership in Energy and Environmental Design) buildings. Visit Mills End Park, one of the world's smallest parks, and admire the massive copper Portlandia Statue, the second-largest statue ever built, behind the Statue of Liberty. Pass several bridges, markets, hidden alleyways, city parks and gardens. During your scenic, easy 2.5-hour stroll, your guide will provide interesting commentary about Portland’s history, culture and diversity, as well as its impressive urban planning and design and its commitment to sustainability. You’ll end your tour back at the library just in time for lunch, and your guide can give you recommendations on where to eat in downtown Portland.